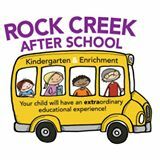 Kindergarten at Rock Creek After-School - Get Involved. Make Friends. Enjoy Motherhood. A MOD Moms business. When we sat down to choose which core curriculum programs and components would be part of our kindergarten classroom, we had the students in our minds and ultimately in our hearts. Our goal is to always provide students with a curriculum that meets their individualized needs, as well as build their sense of community. We have put together a meaningful curriculum rich in each of the kindergarten academic disciplines (language and literacy, the arts, mathematics, science, physical activity, health and safety, and social studies) and one that promotes a child’s developmental and learning outcomes (security and self-regulation, problem solving and thinking skills, academic and social competence). We want students to love to learn and we know we have created a special kindergarten program at Rock Creek-After School to do just this. $75 OFF Annual Registration Fee if you enroll by July 31st 2016. $50 OFF Annual Registration Fee if you enroll after July 31st 2016.